We accept most insurance plans such as Medicare, Blue Cross/Blue Shield, United Healthcare and many more! For your convenience, new patients are recommended to please print and fill out all our new patient registration form. Daniel J. Miller DC grew up in southwest Wisconsin. He attended the University of Wisconsin – Platteville where he majored in biology.He then went on to attend Palmer College of Chiropractic in Davenport, IA, graduating in 1997 with a Doctor of Chiropractic degree. He opened his office in Ottawa in 2000 and has been practicing here for the past 16 years. Dr. Miller uses techniques to correct subluxations (misalignment) in the spine and extremities, Dr. Miller primarily uses the Gonstead technique. Other techniques in which he has been trained include Palmer Package, Thompson, Diversified, and Activator. Dr. Miller’s Philosophy is, Chiropractic doctors restore proper spinal alignment which takes pressure off nerves. When a nerve has a pinch or irritation it becomes inflamed. The body’s response is to create swelling resulting in pain, tingling and numbness. Chiropractors use their hands to apply force in precise directions to specific vertebra of the spine or extremities to correct misalignment. Chiropractic is a safe alternative to surgery, muscle relaxers and pain relievers. Call to schedule a convenient appointment with our available hours. You can also get x-rays done on site, saving you the time and hassle of a trip to an additional office. Many great products needed to complete your care program can be purchased right here in our office, saving you more valuable time. Have you recently suffered an injury that you just can’t pinpoint? You could benefit from a consultation from us. 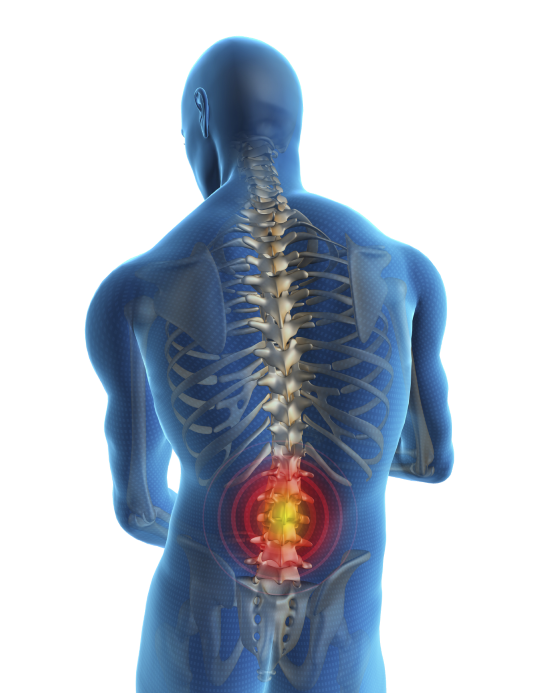 Many spinal injuries can be treated after they are diagnosed. Your insurance can be pre-verified so you know you’re covered. Your recent personal injury, auto accident, or workers compensation case can also be accepted. New to our office is the Triflex rehabilitation system. This system can be used to strengthen the spine, shoulders, hips, and extremities. It uses resistance bands with varying degrees of difficulty. We use rehab in our office for sports injuries, auto accident or work injuries and any muscle weakness patients may be experiencing. Ultrasound therapy can be used to treat muscle, ligament and tendon injury. It is also used for stiffness and tightness. Ultrasound uses sound waves to increase blood flow to an injured area to help it heal faster with less scar tissue formation. 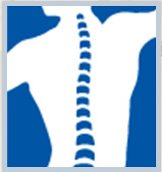 We work with insurance companies to cover your chiropractic services. Call Daniel J. Miller DC today at (815) 431-9870 for a convenient appointment! Standard Process supplements are derived solely from organically grown fruits and vegetables and contain no synthetic products. 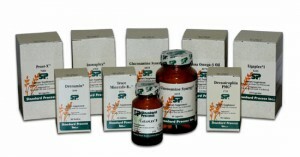 We also carry Biotics and Metagenics supplements. 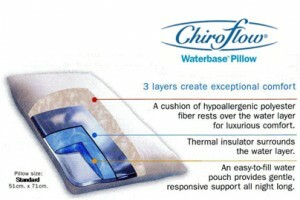 Chiroflows are a great addition for helping to improve your spinal alignment and quality of sleep. These pillows are made with DuPont fiber foam, guaranteed from defects for 2 years, and are adjustable for your comfort. Topically apply to your skin to help relieve pain, spasm and inflammation. 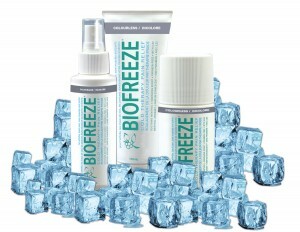 Biofreeze works well on arthritis, back pain, neck pain and headaches. We carry Polar Pack ice packs that measure 12” x 12”. Their unique size sets them apart from other ice packs, and they stay flexible when frozen. A new product we carry is the Andas inhalator. It is natural inhalation therapy for decongestion and symptomatic relief of respiratory discomforts that uses peppermint, eucalyptus and rosemary. It’s excellent for treating lung and sinus congestion, colds, and the flu. Muscle spasm is a symptom of misalignment due to pinching of a nerve. One part of treatment may consist of using interferential muscle stimulation to reduce spasm. Our office is equipped with the LSI System 4 interferential muscle stimulation unit. Electrodes are placed on the patient to stimulate the muscle to relax naturally. This is a unique therapy that can reduce muscle spasm and pain.